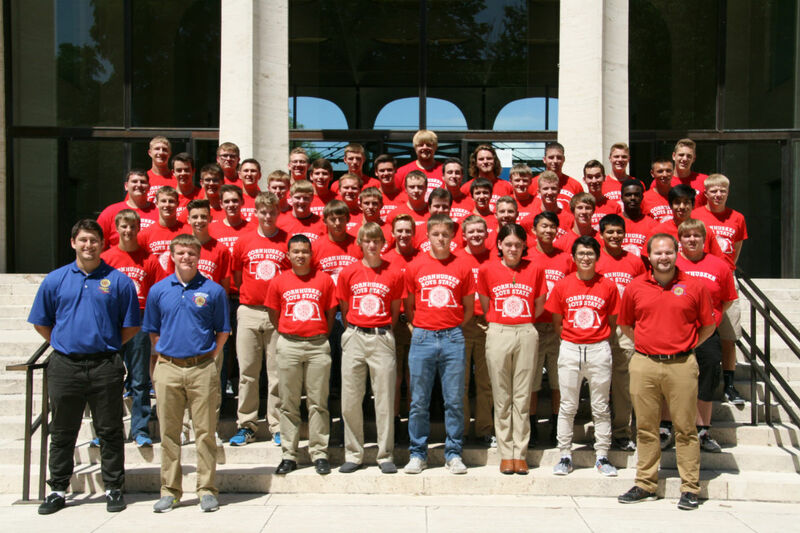 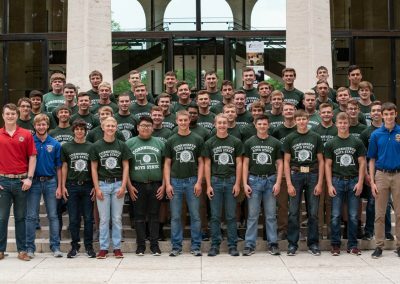 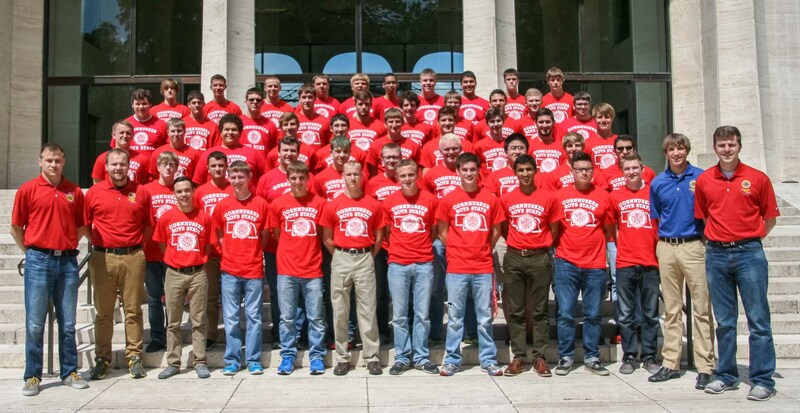 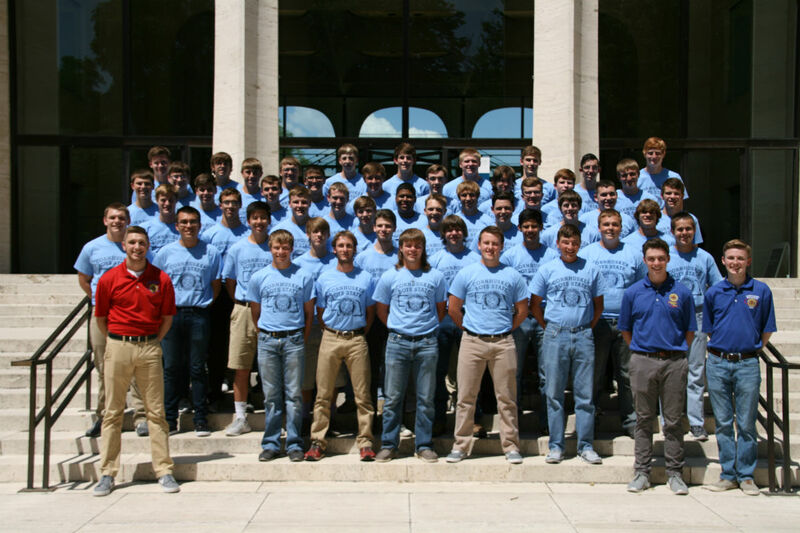 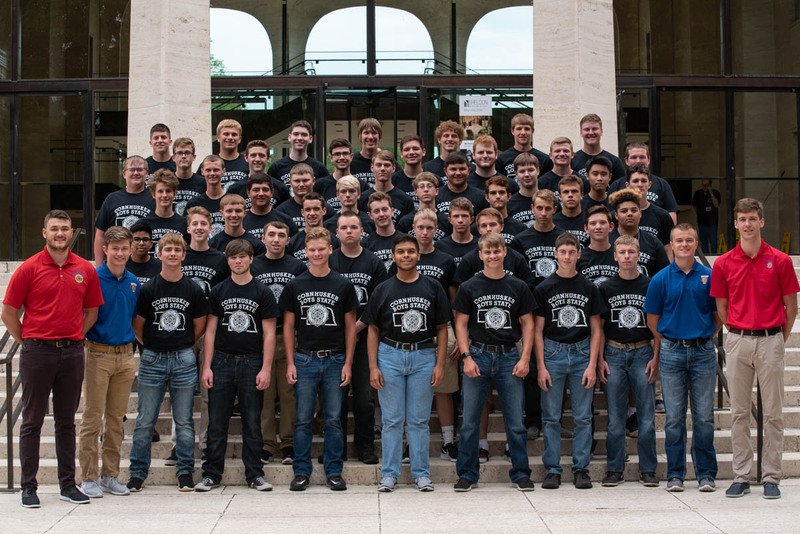 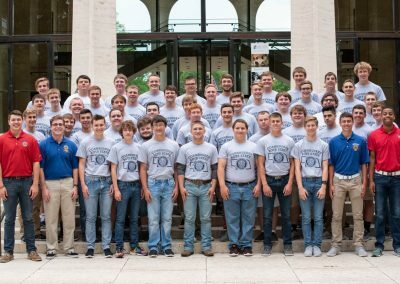 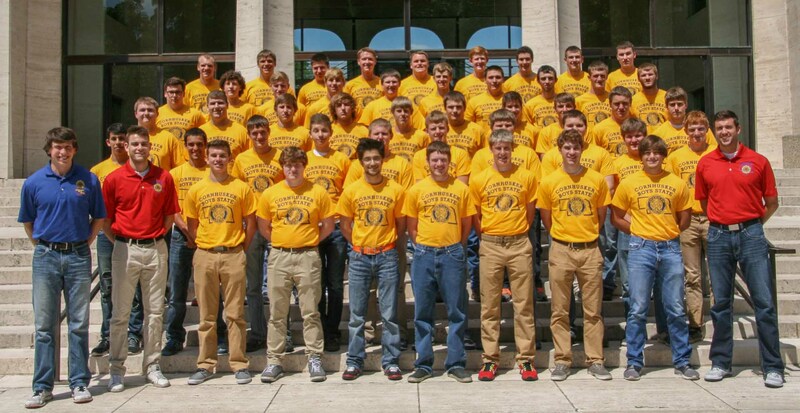 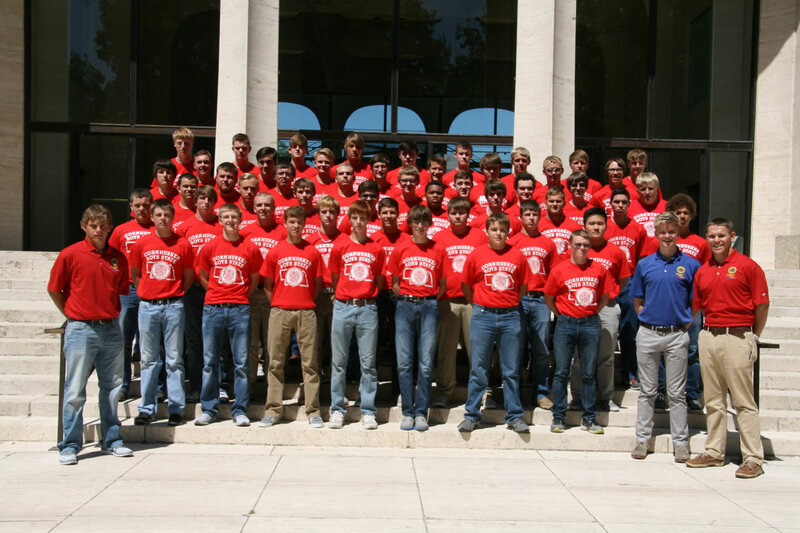 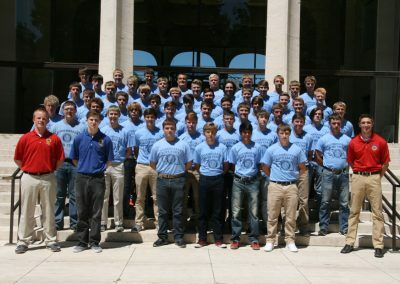 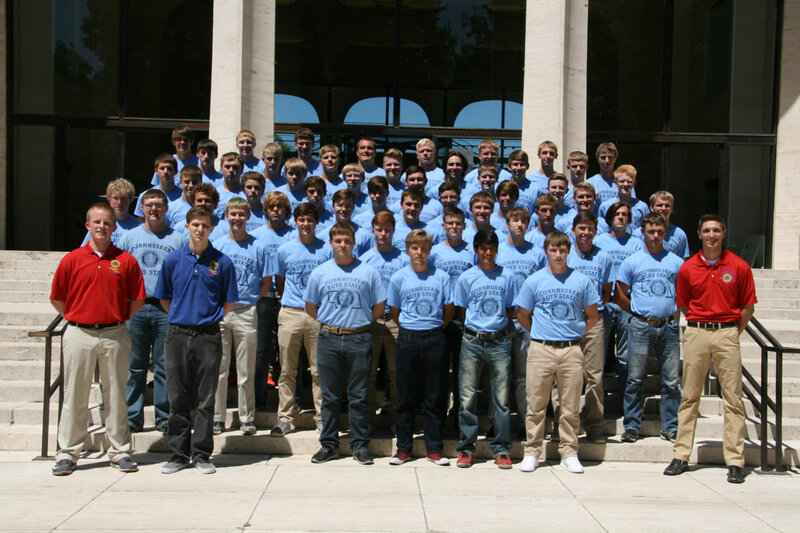 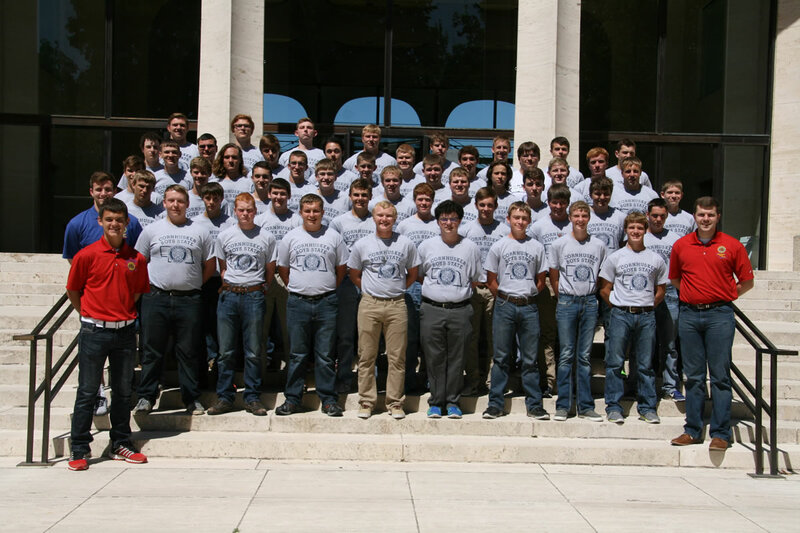 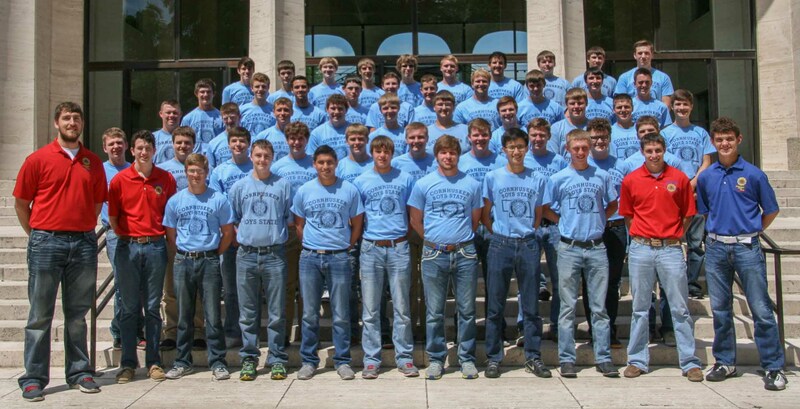 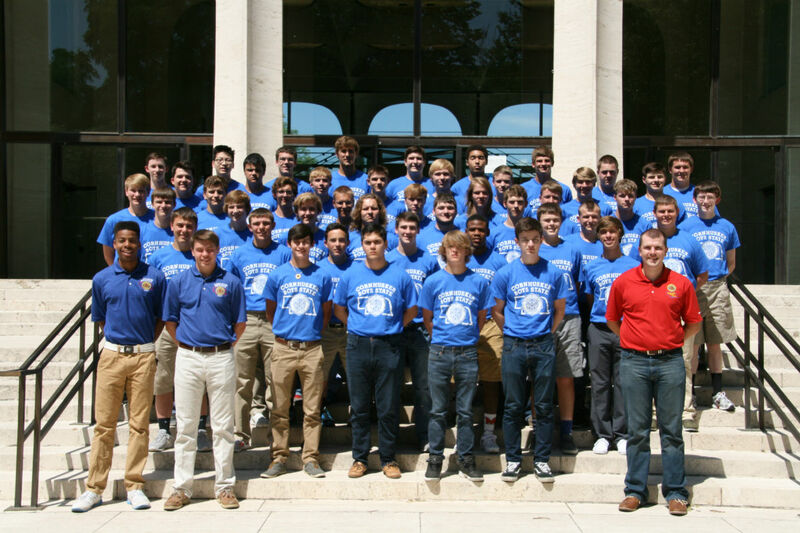 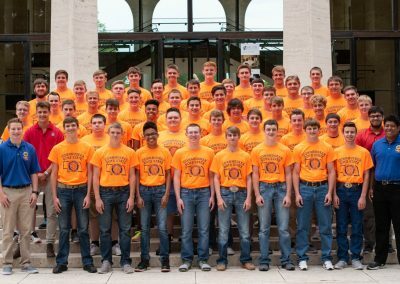 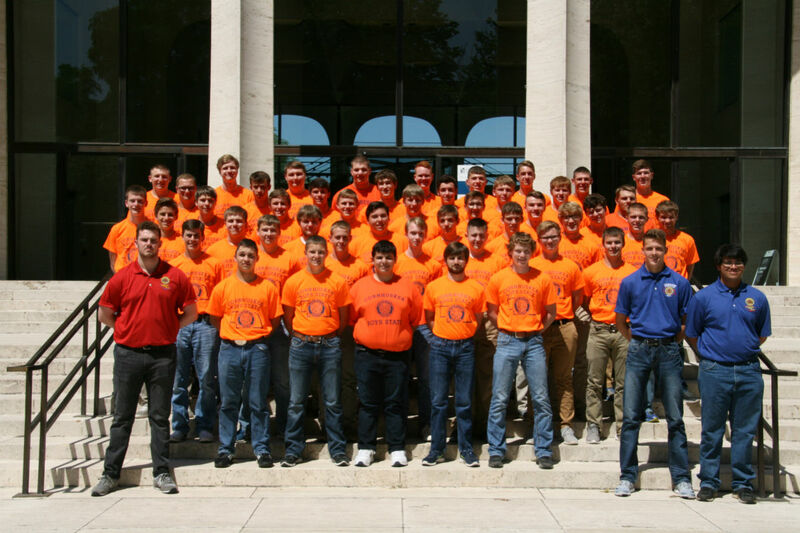 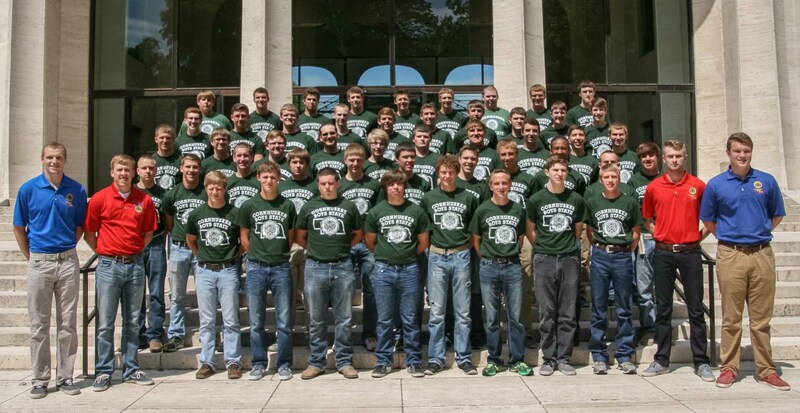 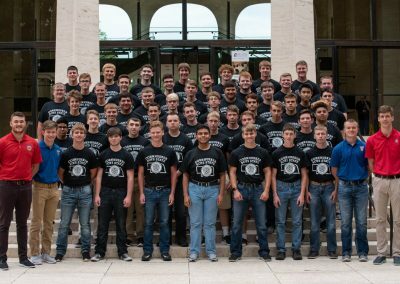 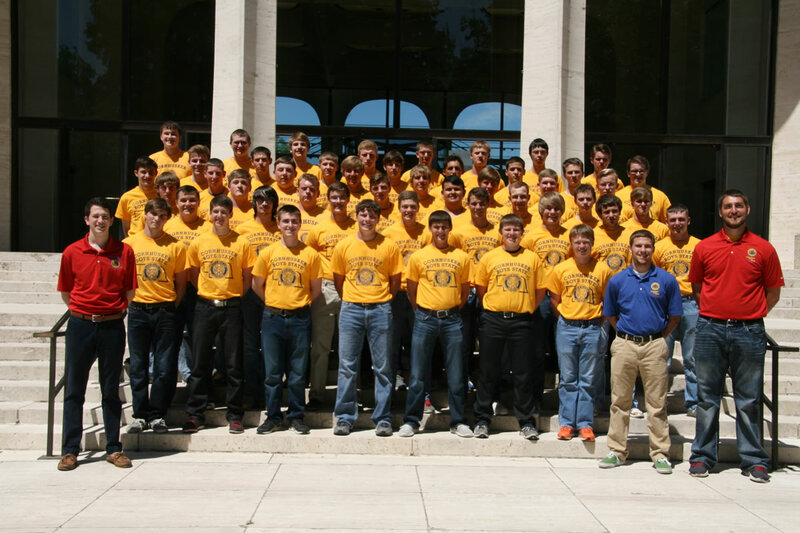 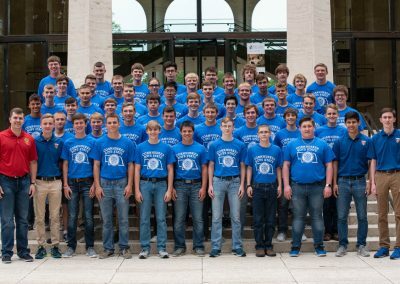 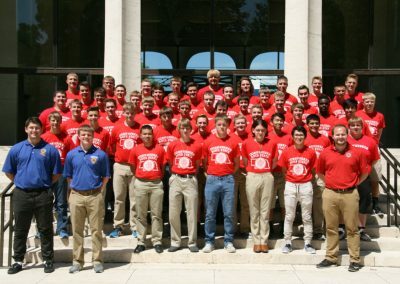 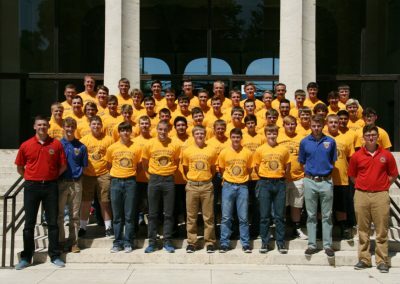 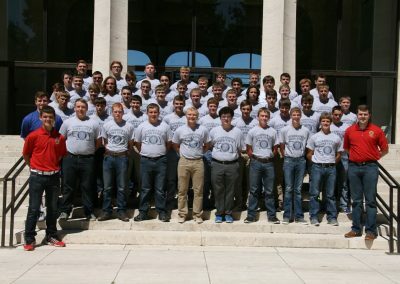 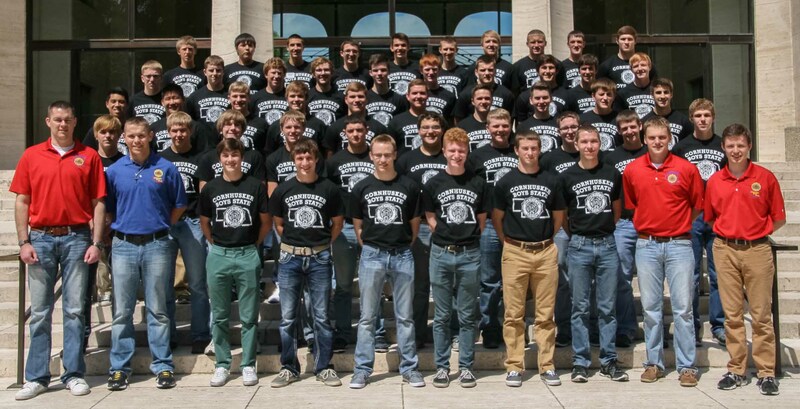 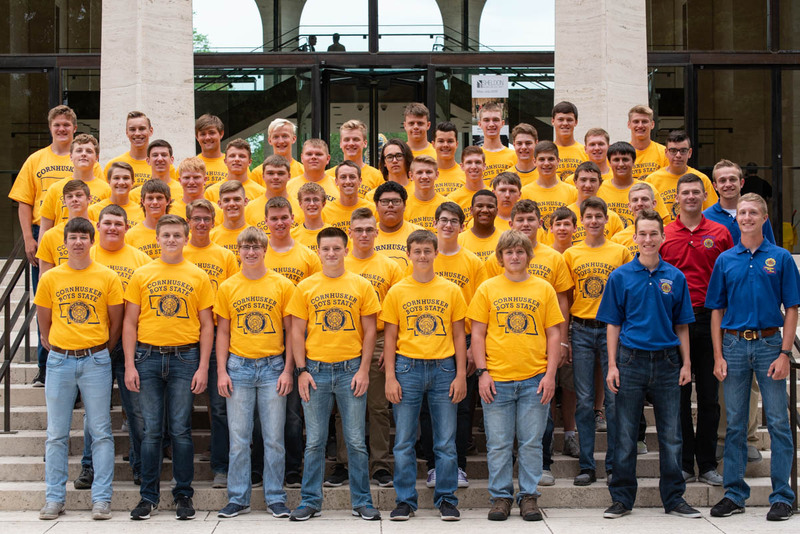 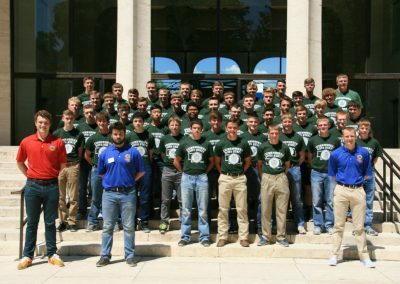 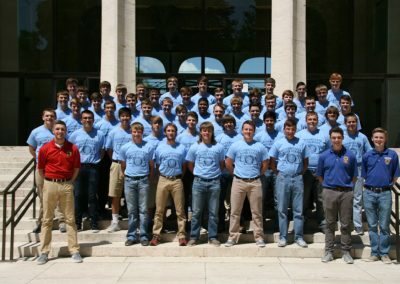 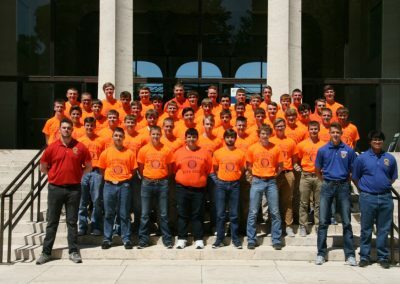 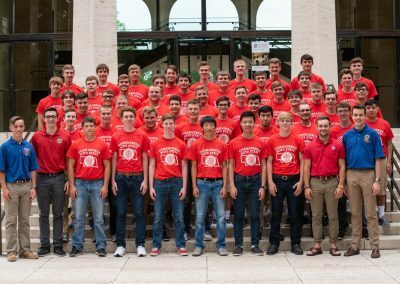 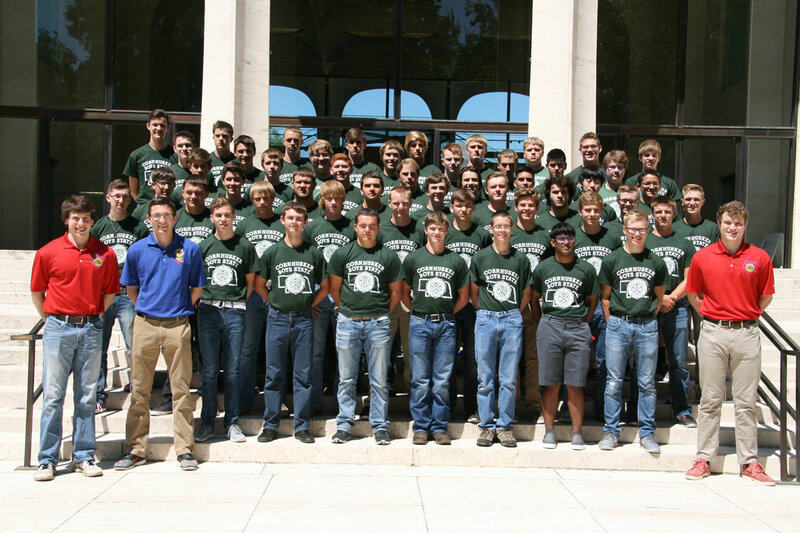 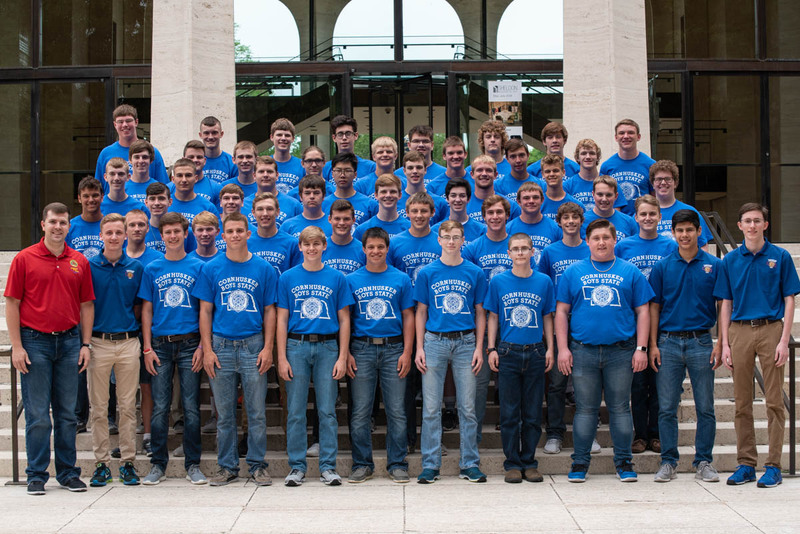 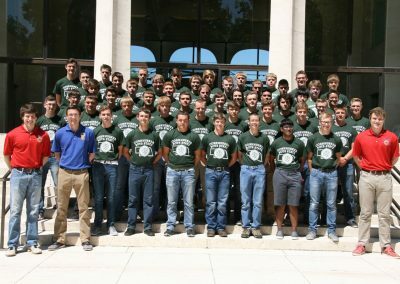 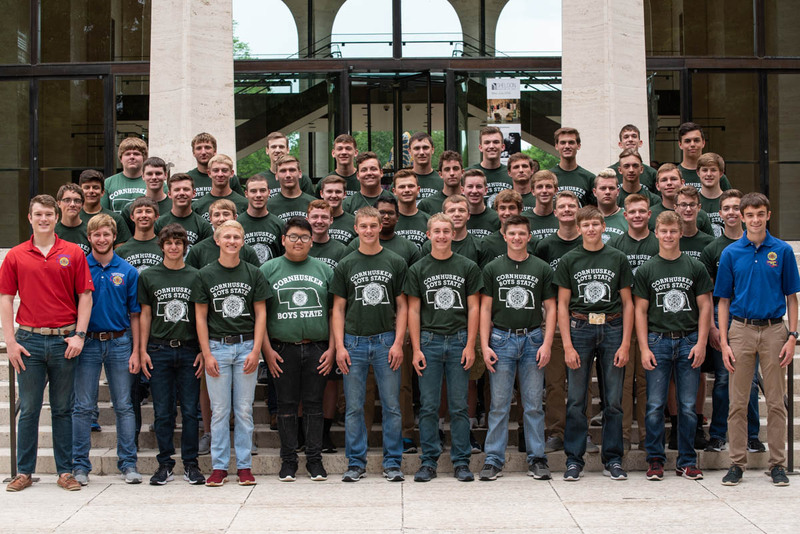 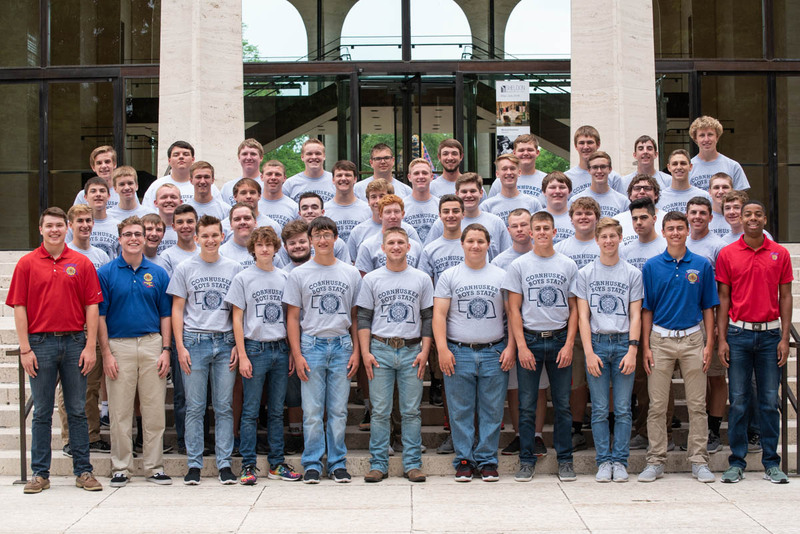 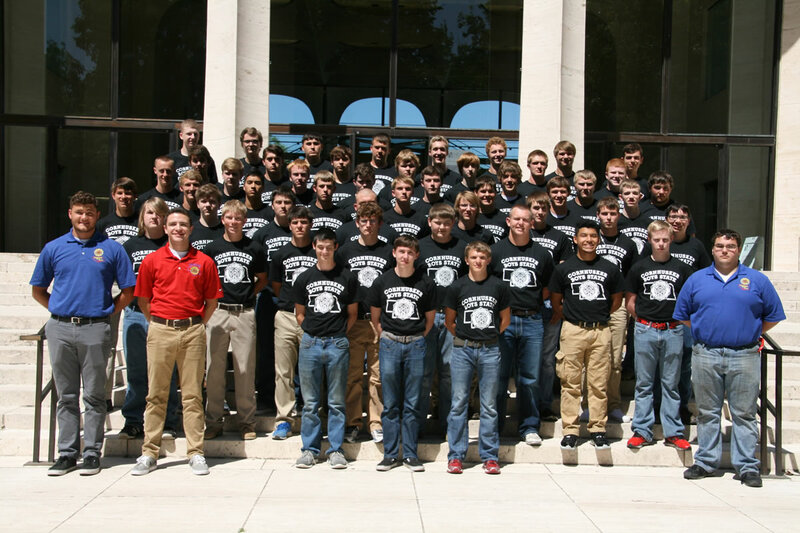 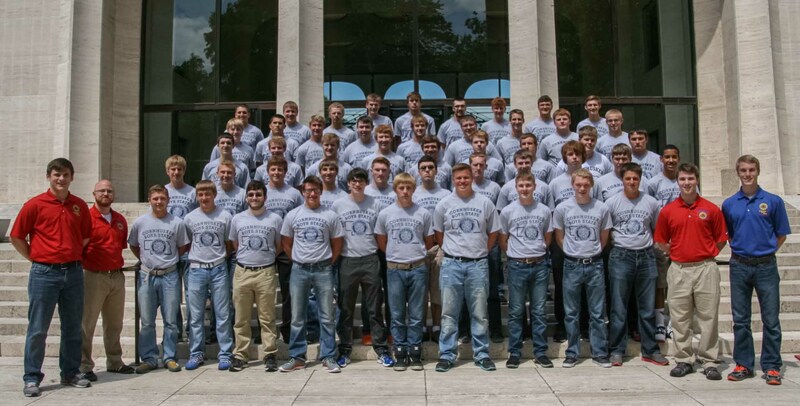 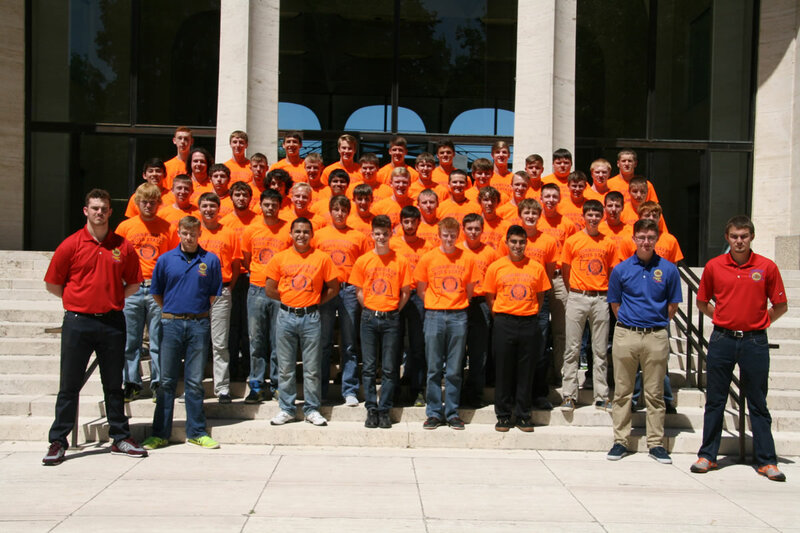 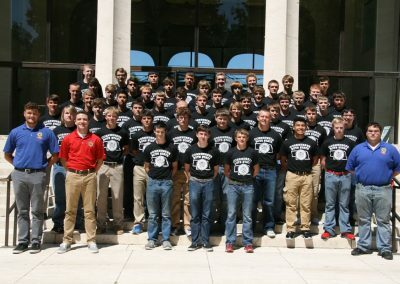 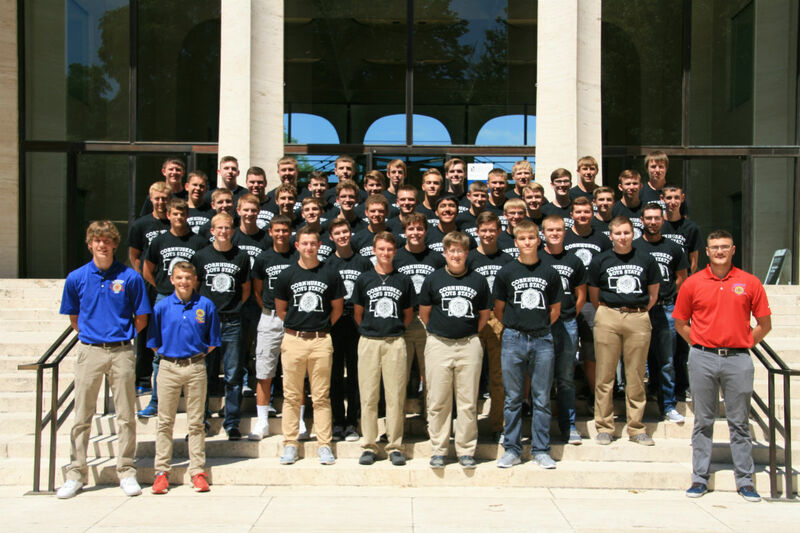 Official Website of Cornhusker Boys' State | A Premier Nebraska Leadership Experience. 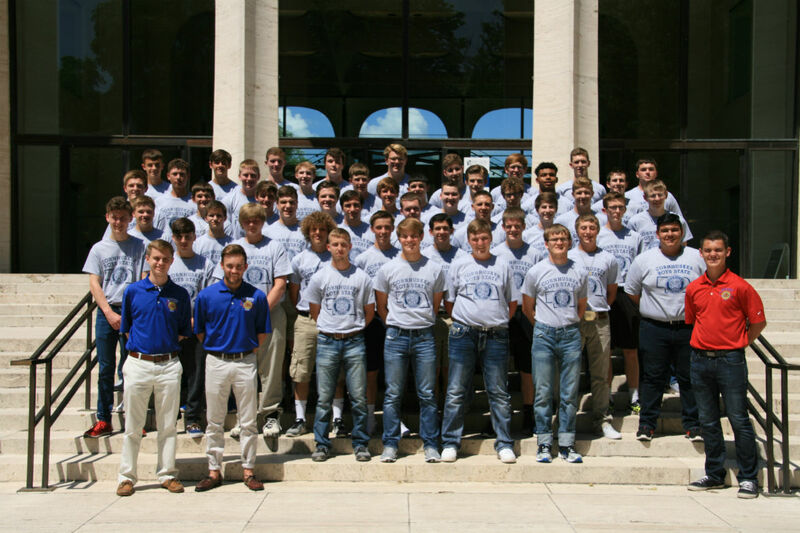 Elvis was in the building! 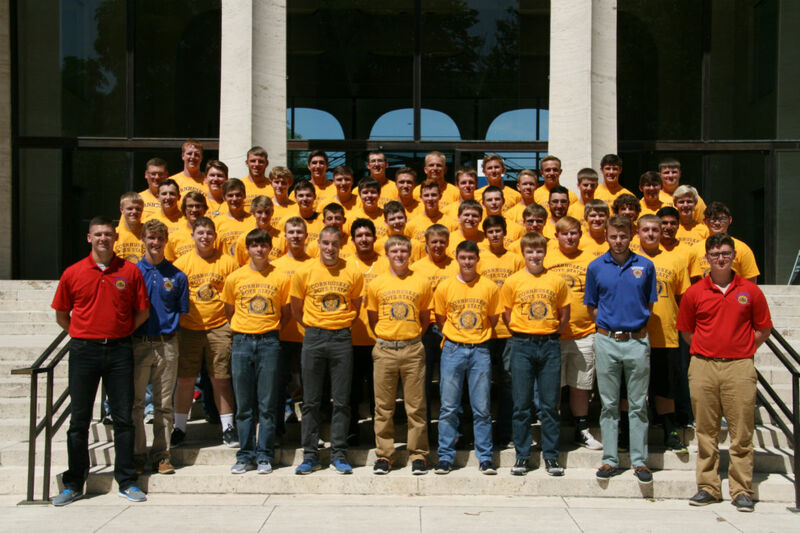 A Boys’ State tradition since 1996! 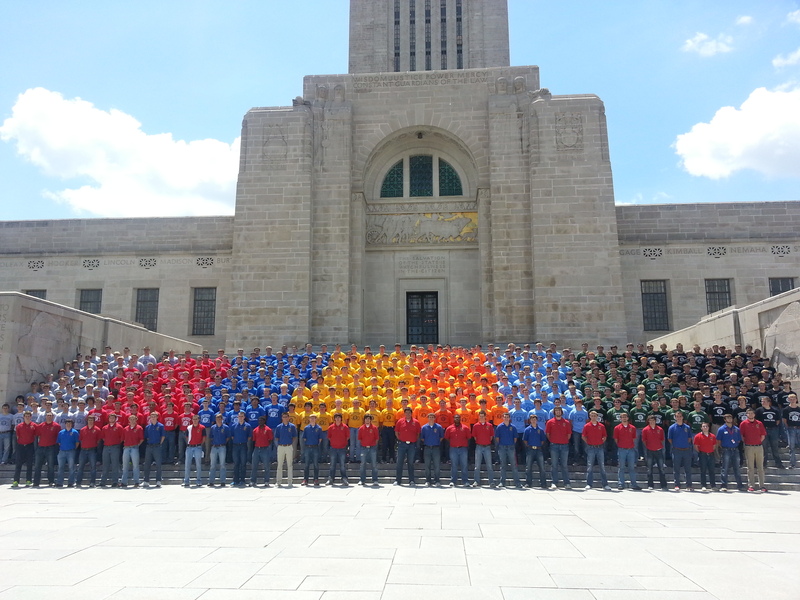 Congratulations to all primary representatives! 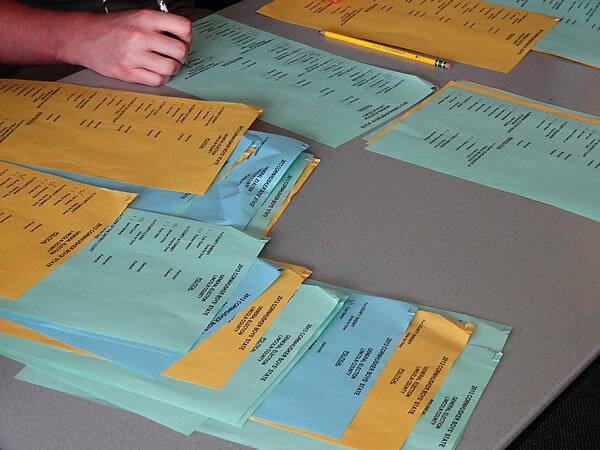 General election results coming soon…. 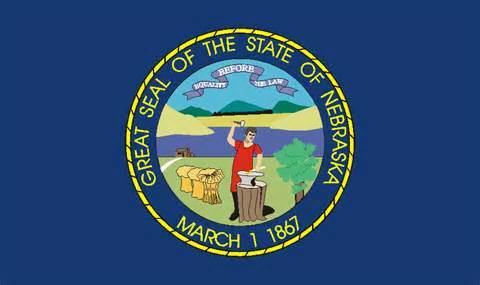 Congratulations to all local government representatives! 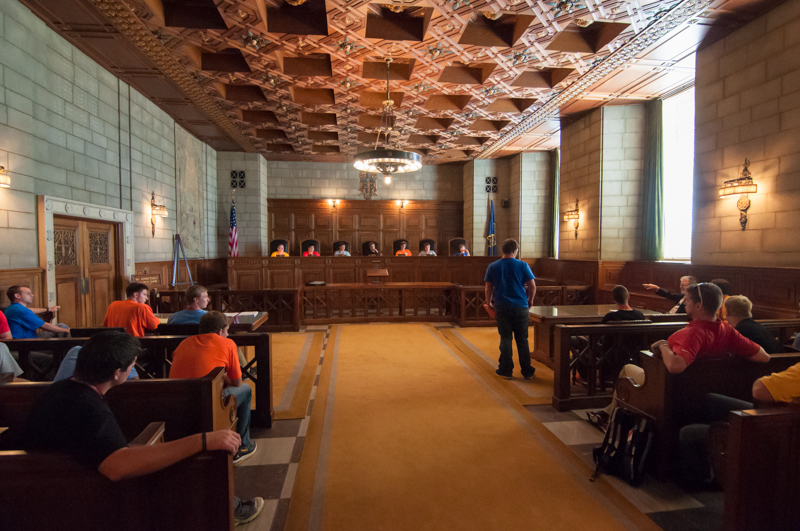 Delegates Andrew Stone and Joey Hunter explain the Nebraska Unicameral and State Court System. 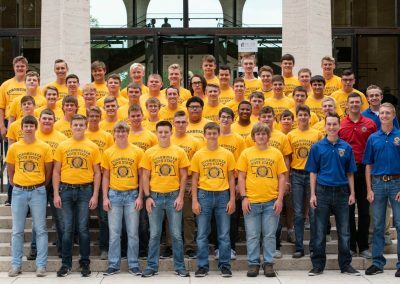 Delegate Bryce Sahs explains the function and purpose of local school boards. 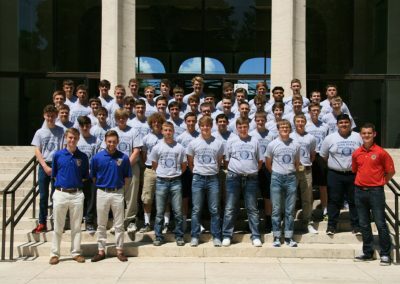 Boys’ State delegates describe initial reactions to the program. 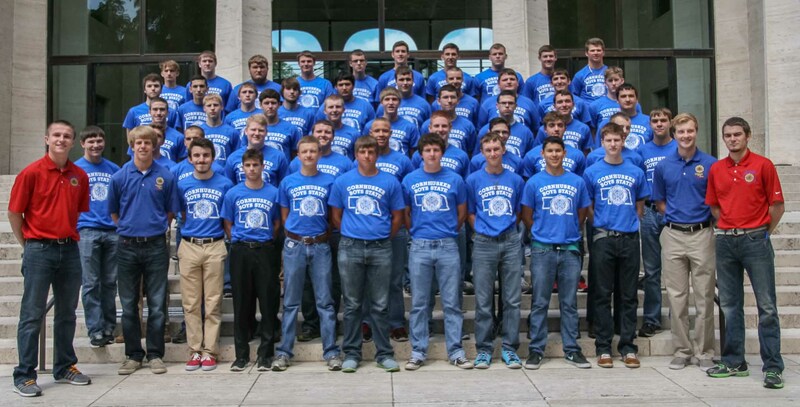 Read about a case heard before the CBS district and supreme courts. 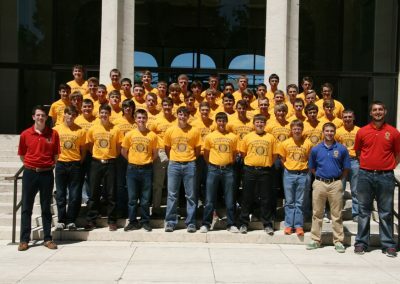 Louisiana Boys’ State wants to know who has the best program. 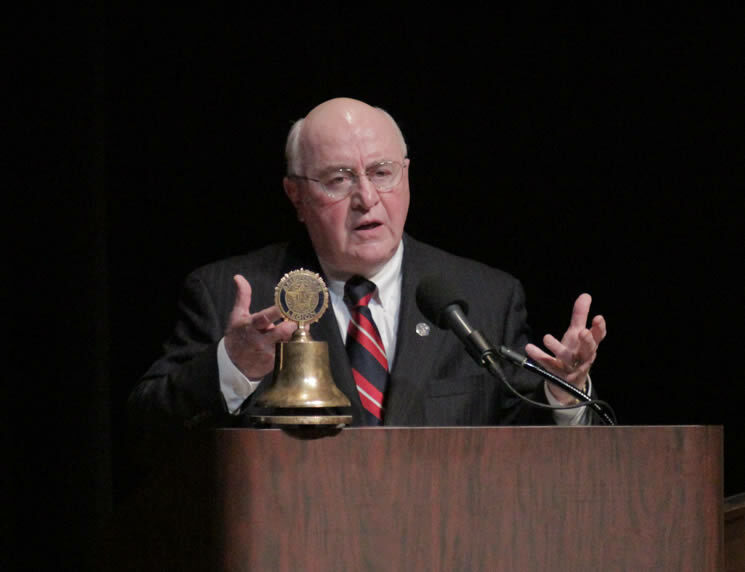 Governor Walter Paul delivers the State of the State address to the CBS Legislature. 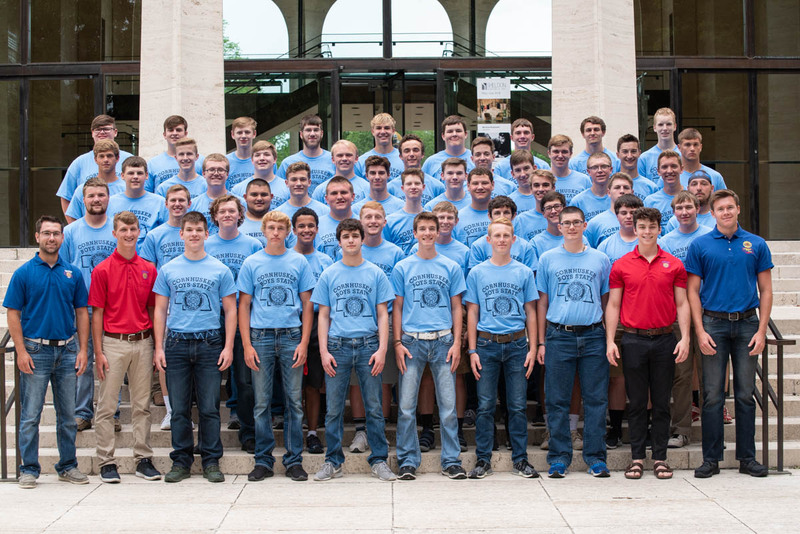 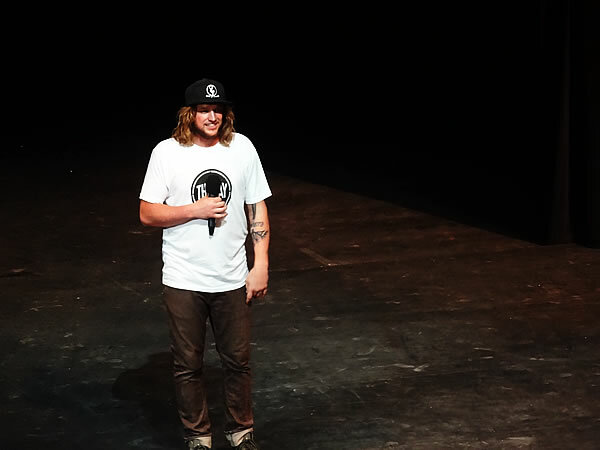 Speaker, author, and former Husker Aaron Davis inspired a joint session of Boys’ and Girls’ State. 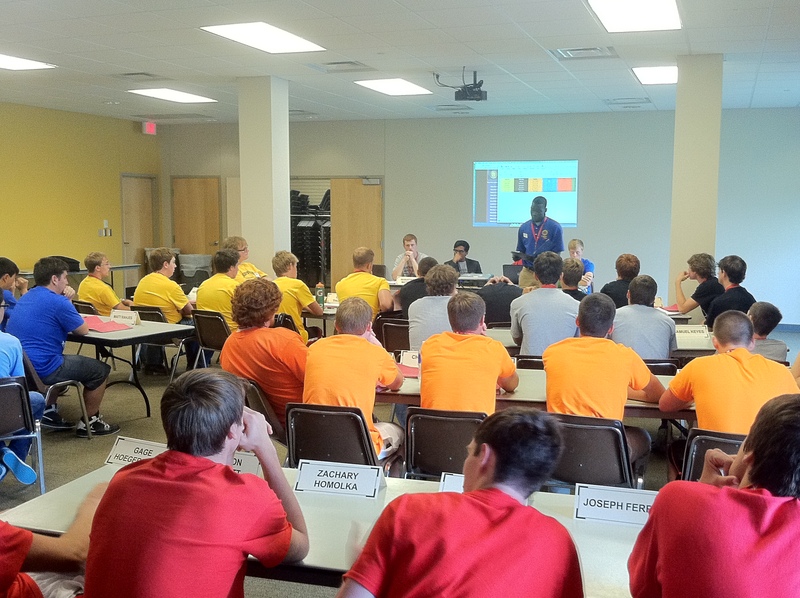 Nationalist and Federalist Parties meet to determine party platforms. 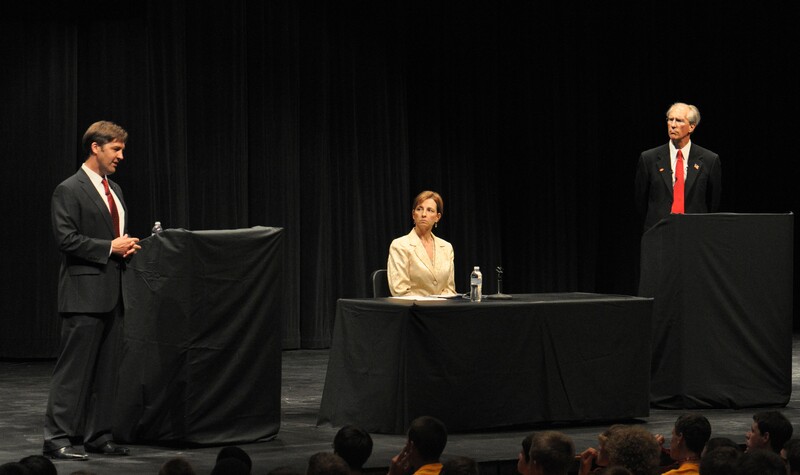 Senate hopefuls discuss Education, Health Care, Military Policy during Joint Session. 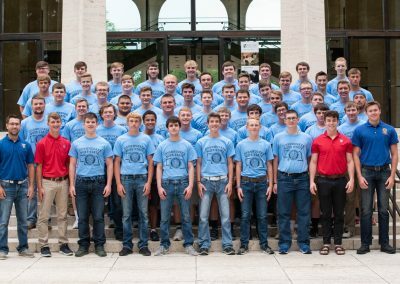 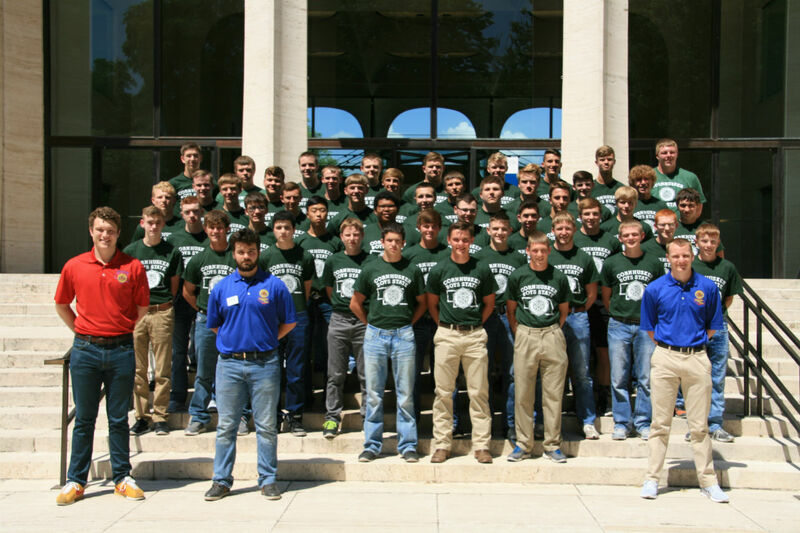 Stay up-to-date with Cornhusker Boys' State! 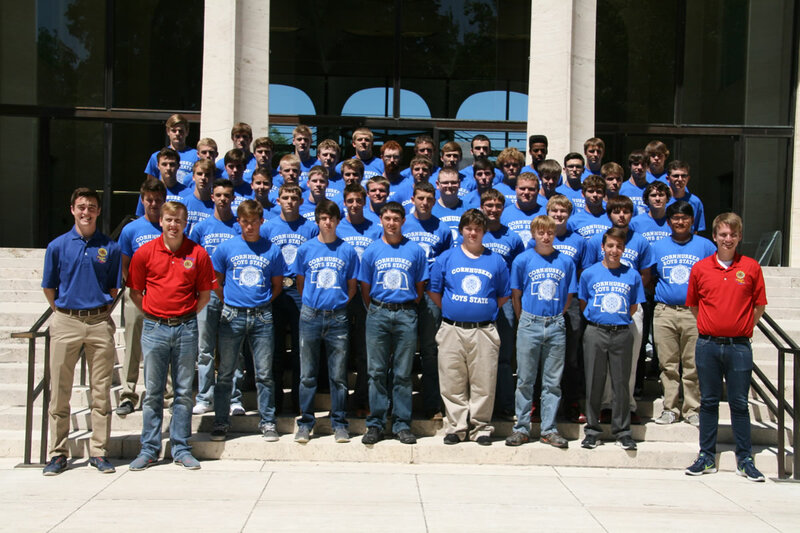 We value your privacy and hate spam as much as we love the program. 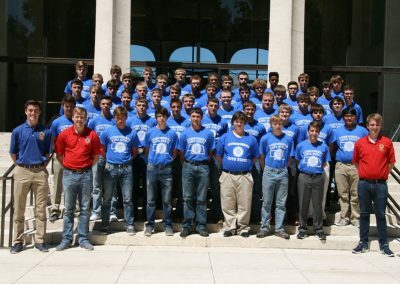 Help Us Send More Students to Boys' State! 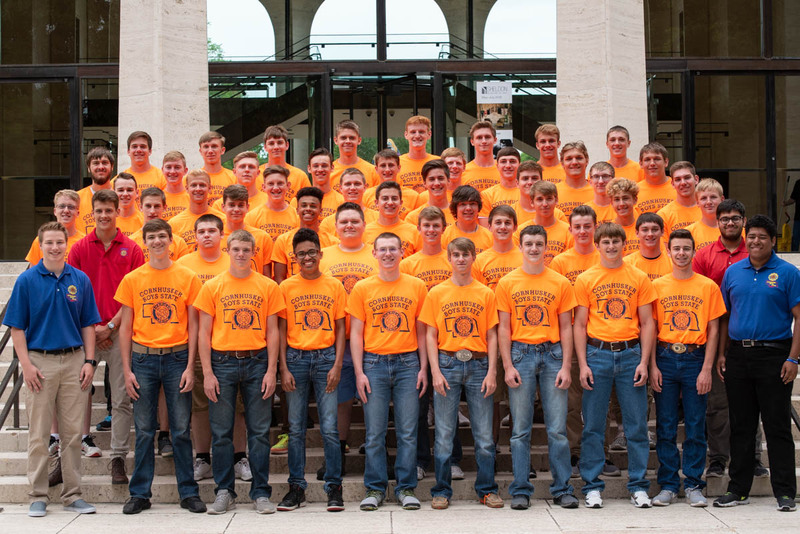 We appreciate your support in helping to send more Nebraska high school juniors to this premier leadership experience! 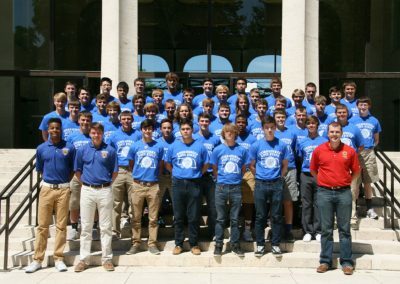 Please click the "Donate" button to contribute! 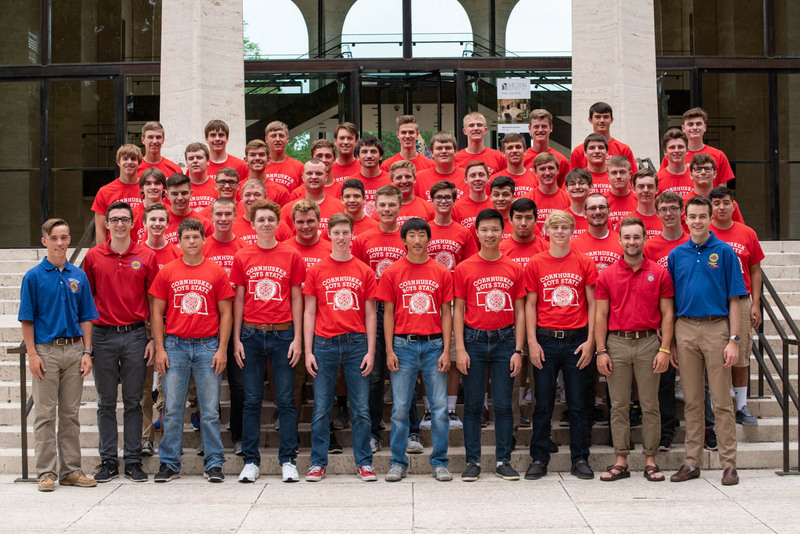 Additionally, please spread the word by sharing this philanthropic opportunity with friends and by posting on social media (please note social buttons below). 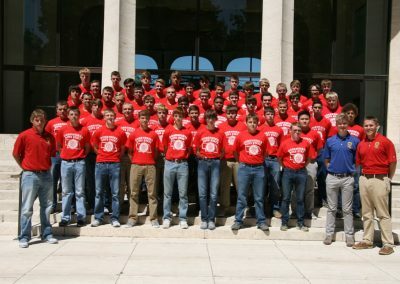 Clayton Anderson returns to Cornhusker Boys’ State. 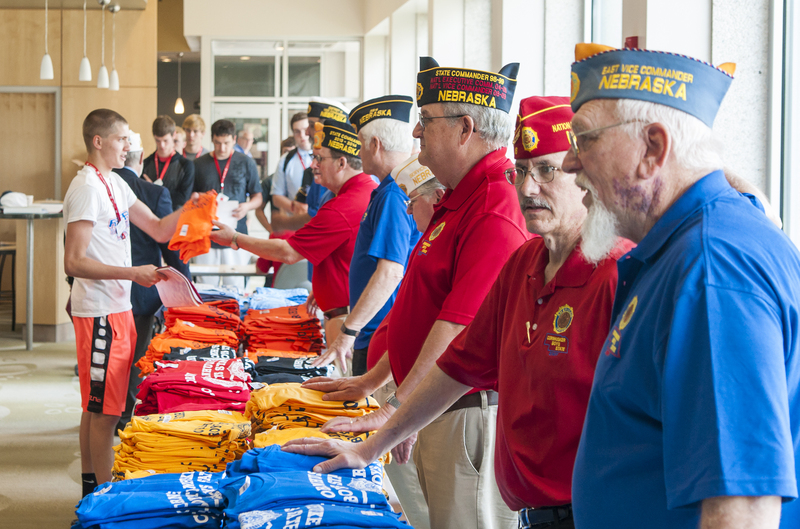 Nebraska Secretary of State welcomes delegates to CBS. 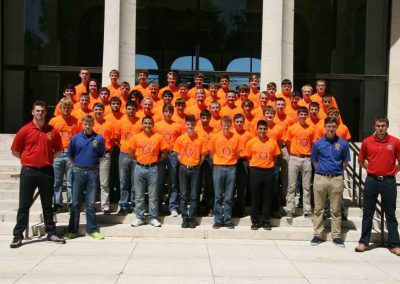 CBS news crew credentialed for event. 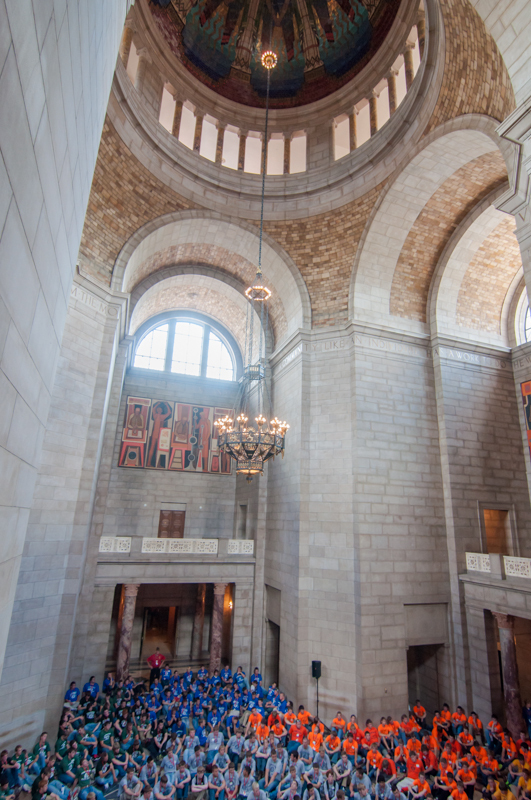 Candidates vie for support on the heels of Tuesday’s primary elections. 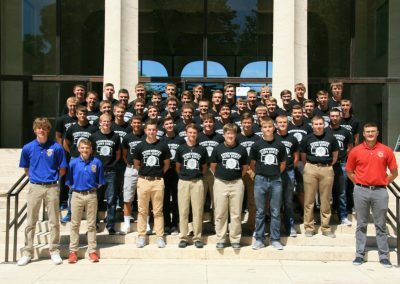 Read Tuesday’s Boys’ State Bulletin. 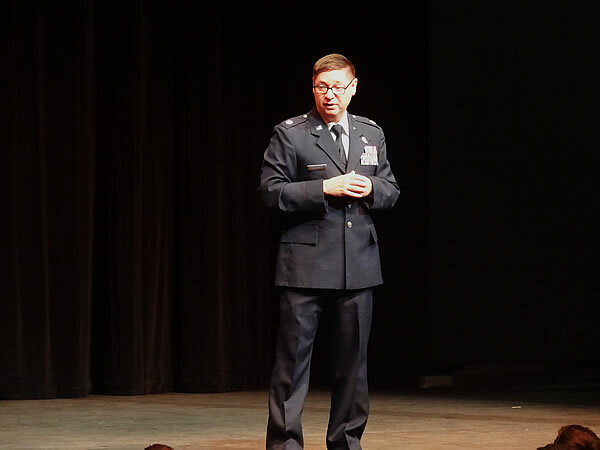 Educational leadership set long-term goals. 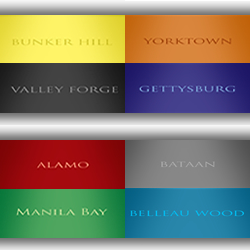 City councils build an infrastructure. 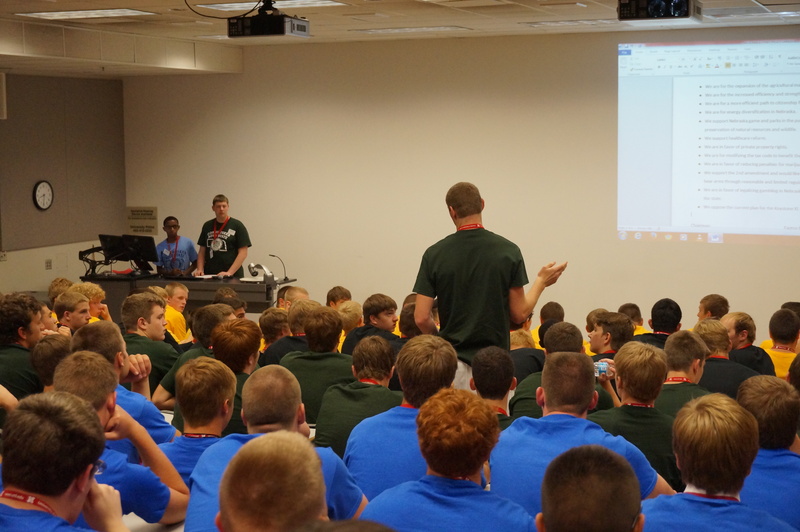 Attorney Andrew Loudon addresses delegates.